Lock in a great price for Hotel Sultania Boutique Class – rated 9.3 by recent guests! I liked this hotel because of the great location closed to everything yet quite at night. It is situated in a safe area full of restaurants and shops. Rooms are clean and all facilities are a plus. Great location, most of main attractions are in 10 minutes walking distance. Great staff and kind. My wife had her birthday during stay and we had a surprise cake form the house. I will definitely recommend and come again. We bought a honeymoon package and the hotel upgraded us to the best room in the hotel. The room had decorated towels, and sweets and flowers on the bed. They made it a truly amazing experience for us. The hotel was perfect for our stay! The location was amazing the staff were so accommodating and sweet! We would definitly stay here again. The breakfast buffet was delicious and we loved our balcony to enjoy the city energy. Exeptional service, friendly and helpful staff, grat location to most visited attractions hovewer quite and secluded fron megapolis noise! The staff are absolutely wonderful, friendly, helpful and committed to making people happy. From the moment I walked in until I left, I was greeted warmly and shown every consideration. The room was comfortable, clean and had all amenities for my eight night stay. Breakfast was varied, abundant and delicious. All the food from the Olive Restaurant and room service was tasty and the selection was amazing. 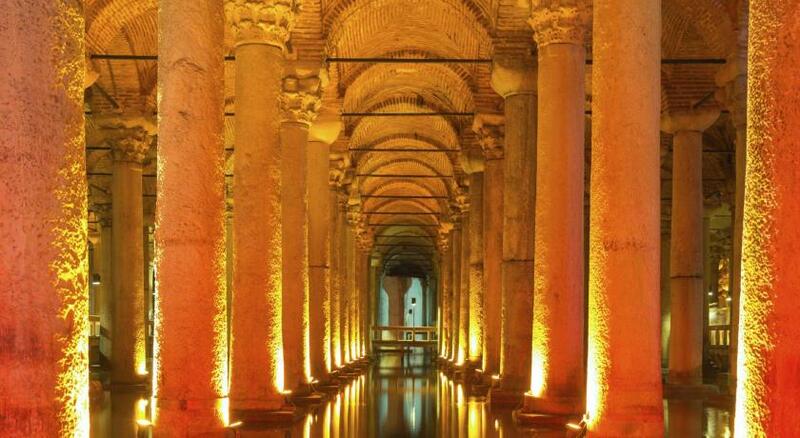 The hotel is well located and close to transport links for access to the many attractions of Istanbul. 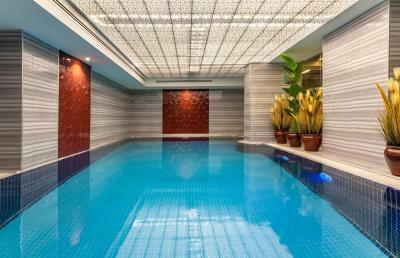 I will definitely stay at the Sultania Hotel when I return to Istanbul. 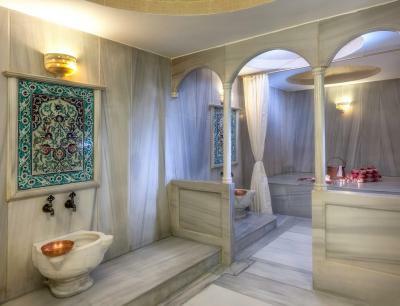 Located in Sultanahmet district within a walking distance to Hagia Sophia, Topkapi Palace, Blue Mosque, Spice Bazaar, Gulhane Park and Basilica Cistern, rooms in Hotel Sultania Boutique Class feature a combination of modern lifestyle with traditional Ottoman touch. Free high-speed internet access is available throughout the hotel. Air conditioned rooms at Hotel Sultania Boutique Class are elegantly furnished and features in-room entertainment system, a DVD player, Iphone/Ipad dock, fully stocked mini-bar, Tea&Coffee maker and a pillow menu. Private marbled bathroom comes with a bathrobe, hairdryer, free toiletries and a slippers. Rich breakfast buffet offers homemade breads, jams and pastries, omelet, freshly squeezed juices, tea and coffee served as complimentary each morning, as well as afternoon tea with pastries every day and refreshments upon arrival. 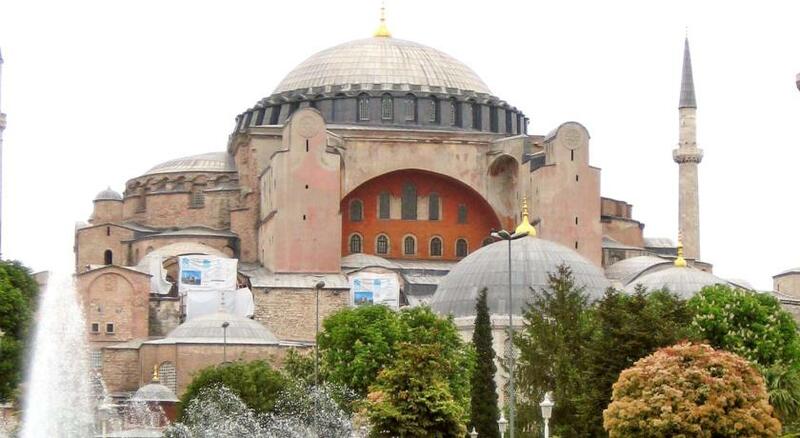 Fine dining Olive Restaurant is located on the roof top with a Bosphorus and Hagia Sophia overview. 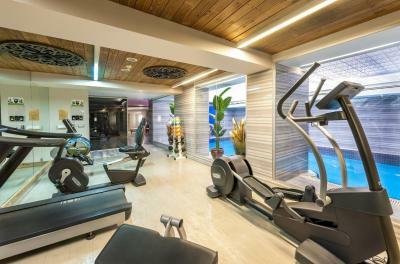 The Sultania's guests have free access to the hotel's heated indoor swimming pool and fitness center with techno gym cardio and resistance. 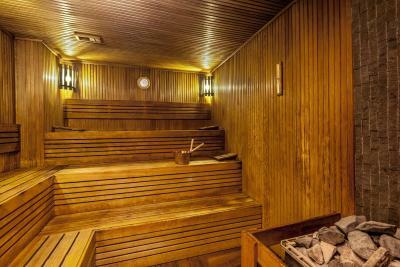 Turkish hammam and sauna are also available. 24-hour front desk and tour desk can assist guests for private airport transfer service, ticket service and local attraction reservations. Business center with equipped meeting rooms and a luggage storage is also available at Hotel Sultania Boutique Class. 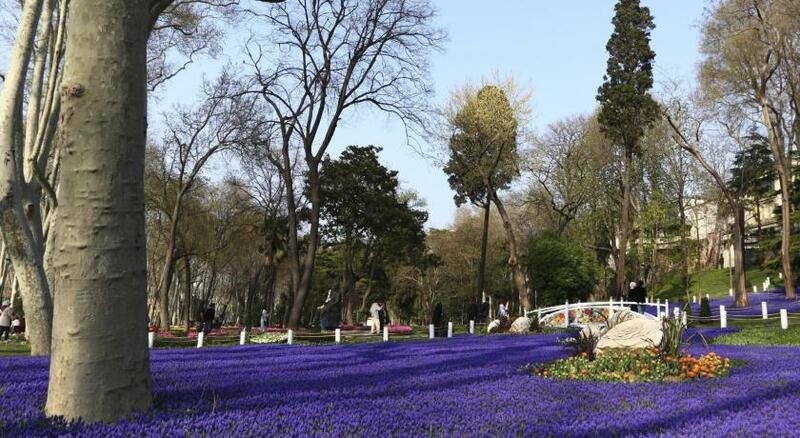 Gulhane Park is 350 feet while Hagia Sophia is 1,650 feet and Spice Bazaar is 1,950 feet from Hotel Sultania Boutique Class. 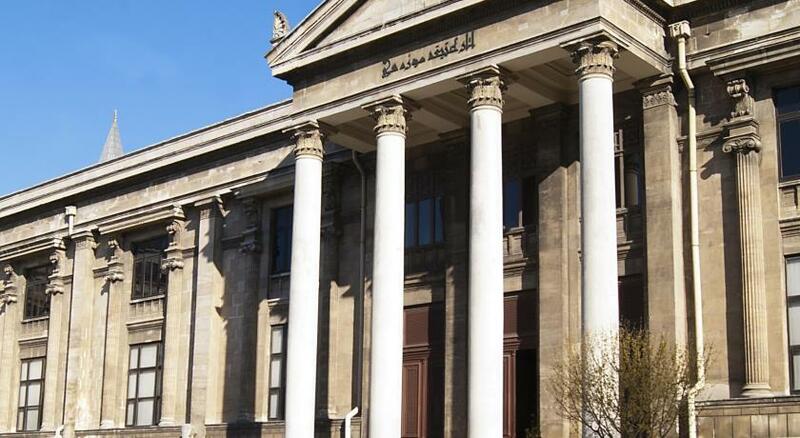 Gulhane Tram Station and Marmaray Sirkeci Station located 350 feet away. Ataturk Airport is 9 mi from the property. Istanbul Airport is 33 mi from the property. When would you like to stay at Hotel Sultania Boutique Class? Featuring a balcony this 75 ft² room is tastefully decorated with modern furniture and have a marvelous design. 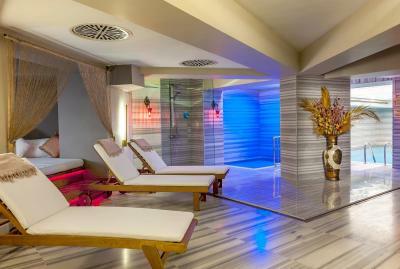 The relaxing atmosphere reflects an exquisite combination of Ottoman tradition and modern luxury. All Deluxe double rooms with balcony are named after historically significant wives of Ottoman Sultans with their stories. Featuring an extra bed, this 82 ft² room is tastefully decorated with modern furniture and have a marvelous design. 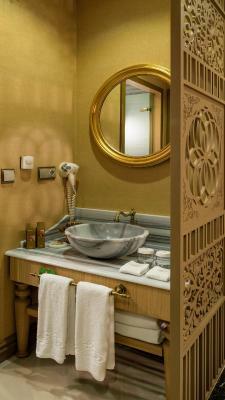 The relaxing atmosphere reflects an exquisite combination of Ottoman tradition and modern luxury. All Deluxe double rooms with sofa bed are named after historically significant wives of Ottoman Sultans with their stories. Tastefully decorated with modern furniture, this room has a marvelous design, relaxing atmosphere and reflects an exquisite combination of Ottoman tradition and modern luxury. 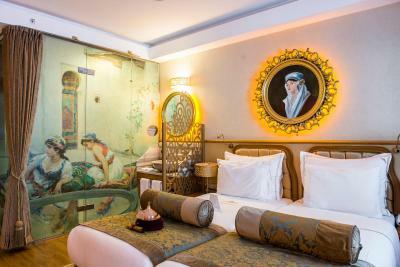 All deluxe double/twin rooms are named after historically significant wives of Ottoman Sultans with their stories. Double or two single bed options are available. House Rules Hotel Sultania Boutique Class takes special requests – add in the next step! Hotel Sultania Boutique Class accepts these cards and reserves the right to temporarily hold an amount prior to arrival. 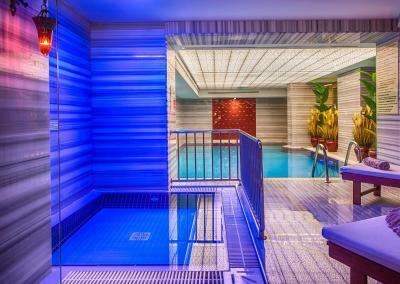 Please note that additional charges apply for access to the hammam and sauna. Hotel Sultania offers free breakfast for 1 child up to 6 years old. The room looked way much nicer in the pictures than reality and the bathroom was unbelievably small & not comfortable. The location was excellent with extremely helpful and friendly staff. Central location. Superb service from all the staff. Everything was excellent.i would definitely come back an stay here again.the staff are friendly an helpful.thank you. Mineral water was not refilled. The settings of the room was excellent. On the last night we had dinner at the hotel's rooftop restaurant. The food was fantastic but service was not attentive or polished e.g. we had to wait for long periods of time for our plates to be cleared, we were not even asked whether we would like dessert etc. The staff were simply brilliant - from check-in to breakfast to guest relations to housekeeping to check-out, it was a perfect stay. A special vote of thanks to Sehmi, Gulsen, Ahmet, Hassan, Dilleg, Gonul (I hope I have spelled the lovely names correctly). It felt as if we had known them for so long - the warm welcome and the thoughtful gestures will stay with me forever. I will certainly come back! 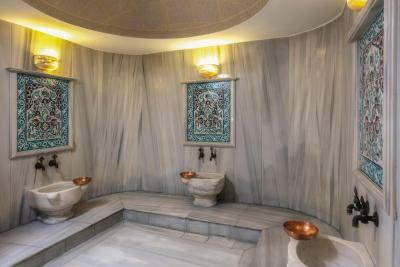 Inability to book treatments at the spa, and when that was not available, they did not offer a kese mit for purchase for self Hamam at 10 euro. 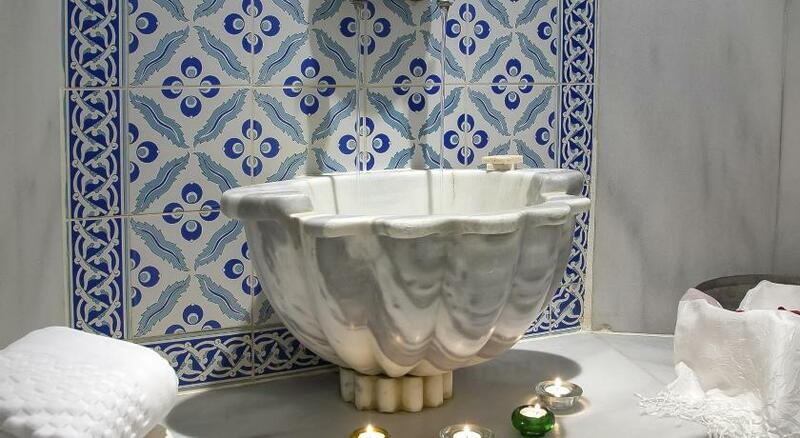 This made the Hamam not worth the cost. Staff was not up to the small standards in the Spa. The staff, location and hotel facilities were excellent. Very happy with the choice. Will for sure go back. This hotel is superb! It has so much character and charm to it, the rooms takes you back in time giving a real feel of what Istanbul was like many years ago. The staff gives a lot of attention to every single detail and each room has a name of a sultan and it is tastefuly decorated. I was upgraded to Ask-i Sultania. It means love in Sultania honeymoon suite, the room was stunning with a fire place and a large jacuzzi and a terrace overlooking the nebourhood. I would for sure recommend this hotel to anyone coming to Istanbul I had a great experience, also there is a rooftop Restaurent called Olives which is just amazing with a great view and very reasonable priced menu. I would defiantly come back !